"You don’t want to walk off after getting out in a Test." 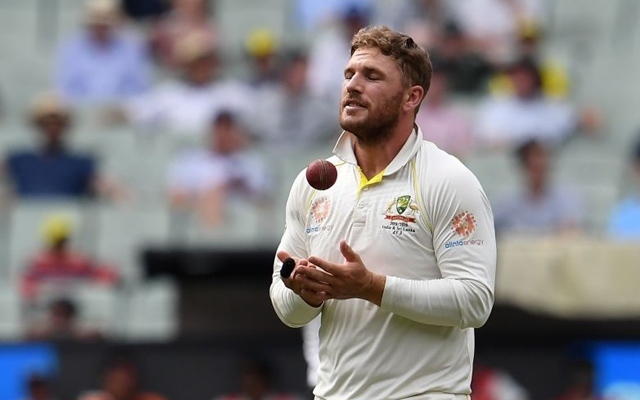 Aaron Finch will be back into international action on Saturday when Australia will be playing under him in the first of the three ODIs against India at the Sydney Cricket Ground (SCG). The right-hand opener took a complete break from the game after getting dropped from the Australian Test side following the Melbourne Test because of poor form and he returned to competitive cricket on Monday, hitting 42 off 39 balls to lead his side Melbourne Renegades to a victory over Hobart Hurricanes in the Big Bash League. Finch, known to be a limited-overs specialist with 96 ODIs and 50 T20Is, made his Test debut last October against Pakistan but, though, it was a decent start with a fifty, the Victoria batsman could not maintain the momentum in the just-concluded series against India managing just 97 runs in six innings before getting excluded. Of these 97 runs, 50 came in one innings in the second innings in Perth. The 32-year-old cricketer did not touch the bat between the Boxing Day Test and his latest game at the BBL and regretted that he had not taken a similar approach while preparing for the Test series against India. “It was my choice to keep hitting balls and you’re searching for form, you’re searching for something. You don’t want to walk off after getting out in a Test … and think ‘geez, if only I’d hit some more balls’,” Fox Sports quoted him as saying. Finch even said that the feedback from the team management echoed the same – take a break. Australia now play two Tests against Sri Lanka starting January 24 in Brisbane and Finch said he was yet to hear any word from the selectors about the upcoming series against the Lankans. The Australian squad for the same is set to be named this week.